RedInkRadio: "The Oven" makes Publishers Weekly's "Best of 2015" list! "The Oven" makes Publishers Weekly's "Best of 2015" list! Holy Guacamole, you guys! 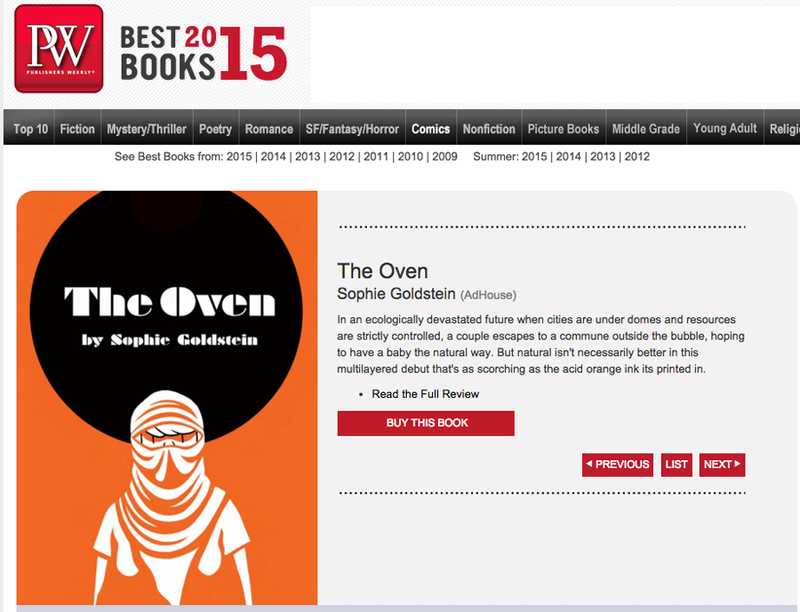 The Oven is one of Publishers Weekly's Best Books of 2015! I always worry about getting too personal in my posts, but to say I've been surprised and gratified by the response my book has gotten is a massive understatement. I never expected so many people to read and care about my book and even, in some cases, tell me so to my face with evident non-irony. Thank you to everyone who took the time to read my book, or, even more remarkably, write something about it or tell me they liked it. I don't think there's any greater gift you can give a creator then your attention.